After 28 years of running a highly respected company, Doug Varone has done the unexpected. He has departed, if by degrees, from his signature style of modern dance, which is a fluid, looping, channelling of energy that looks organic but which is carefully constructed and practiced expertly by his trained dancers. In a new group work, Dome, and a solo for himself, he has created stuttering, angular phrases separated by long moments of stillness. In a sense, he has hit the reset button. The Joyce program leads off with Castles (2004), representative of Varone's essential style. It's marked by a matrix of pin spotlights (by Jane Cox and Joshua Epstein), at times reduced to light just the stage's perimeter. The lively, danceable music, Prokofiev's Waltz Suite, Opus 110, coaxes the mood from carnivalesque to martial to grandiose. The 3/4 tempo accommodates Varone's affinity for dropping weight into the ground. 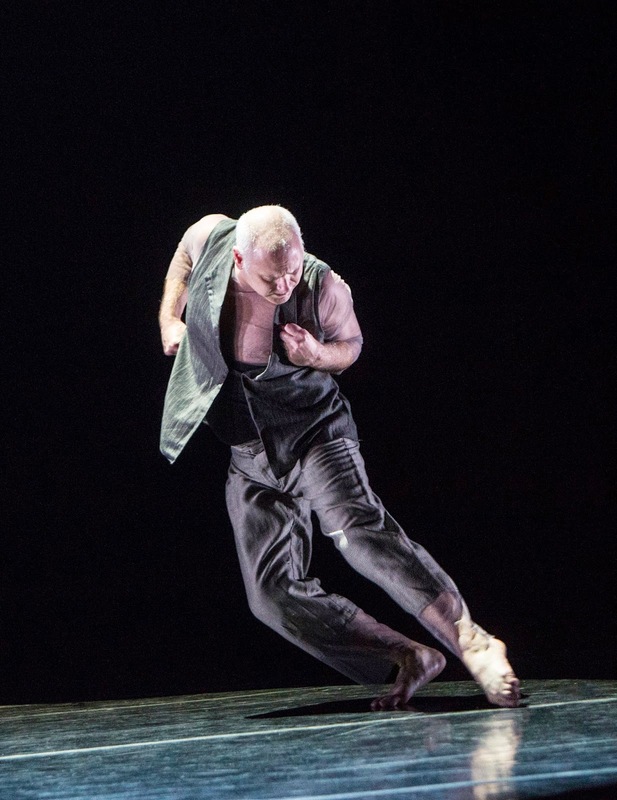 Xan Burley is particularly effective in this dance—lush, boneless, muscular. Varone then performed a new solo, The Fabulist, to "Death Speaks" by David Lang, presumably sung by an uncredited Shara Worden, whose lilting voice imbues a folk music touch. The lighting, by Ben Stanton, plays an important part, as it does in most of Varone's repertory. Just Varone's head and shoulders are lit at the start; he is bathed in a cone of light and moves almost begrudgingly, primarily using his arms and upper body. As the lights pull apart to rake him from both sides, he expands his range, stutter-stepping, hunching, and walking awkwardly, almost as if relearning his first steps. He plops down and with some effort pushes a stray leg into position with his hands. He eventually gains power over his environs, batting away a spotlight, and finally snapping his fingers to extinguish the light. It's atypical of his extravagantly graceful movement, and an overt reckoning of his own role as a choreographer/creator. Reid Bartelme and Harriet Jung's gray silk suit with sheer sleeves and pant hems seem overly fussy for Varone, who generally comes across as the super graceful pugilist-next-door. Dome, the group premiere, builds on the angular, fitful phrasing. To Christopher Rouse's strange, at times cyclonic Trombone Concerto, it feels emotionally dark (despite Jane Cox's golden lighting) and vaguely post-disaster. 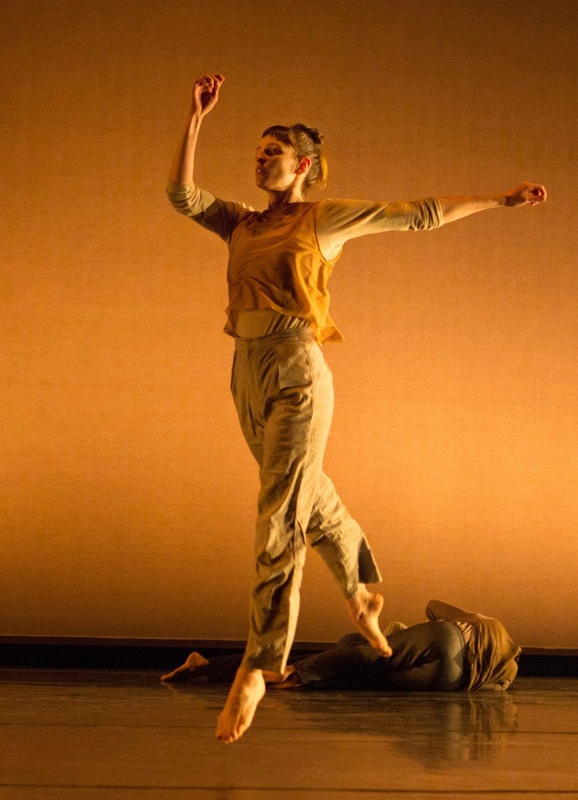 The dancers read as detached from one another, in contrast to their usual cohesiveness; they move robotically, bursting into a phrase, or freezing in arabesques or beaching themselves on the floor apathetically. Hsiao-Jou Tang captures the sense of resigned doom in her elegant, economical phrasing. In a flurry of brass instruments, the eight dancers finally trundle together, each raising an arm. Dome showed some fresh approaches from an established choreographer.